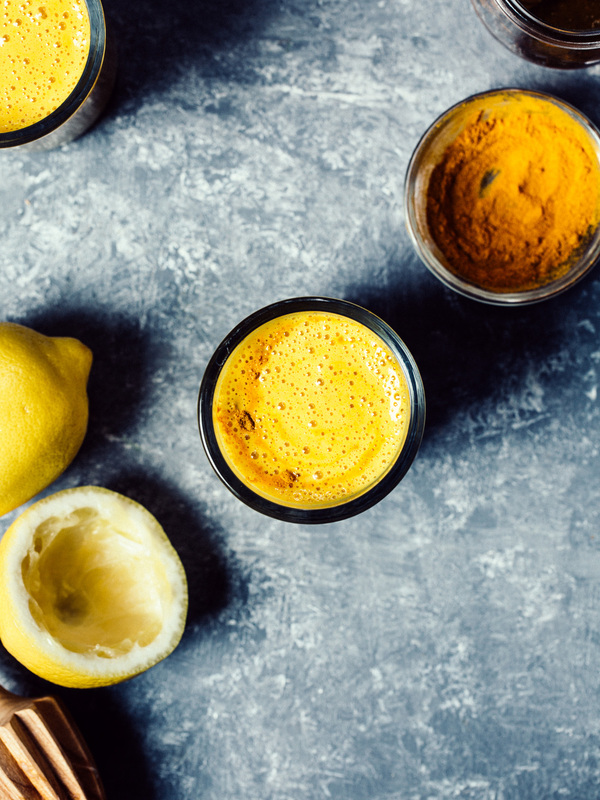 When it comes to turmeric I think you are either a fan, or you aren’t. And I am a big fan. I use it in our dinners, to making dressing, roast veggies in it, I even put it in my drinks. From a turmeric soda to this turmeric mango lassi. Not only is this bright yellow spice wonderful for adding deep flavor it also provides a lot of great health benefits. This lassi is simple and quick to make. Which is just how I like my breakfasts to be during the week with the kids. And until we get into summer, right now I rely heavily on buying our organic fruit in the freezer section. Simply add your favorite plain yogurt, milk, a lot of mangos (fresh or frozen), put a little ginger in there (optional, but well worth it), some honey, lemon and turmeric! Whip, blend, drink! For the actual turmeric I do prefer to use the ground kind for smoothies as I feel it just mixes is better than the fresh. And for this recipe, I suggest starting with 3 teaspoons, 2 if you really aren’t sure, and then adding from there. This recipe was sponsored by Earthbound Farm, thank you for supporting! Combine all ingredients in a high-speed blender and mix until thick and creamy. At this point you can add more turmeric if you like it stronger. Or sprinkle some into your individual glass if the rest of your family doesn’t like it as strong.